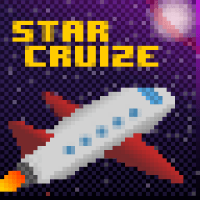 “Star Cruize” is an 8-bit/chiptune-style soundtrack composed for the present independent games movement, and inspired by music from old nintendo games. It features catchy, soulful melodies and an energetic accompaniment. It’s the perfect soundtrack to accompany your fun, flying adventure!